Today we’re going to talk about how to clean used furniture. I don’t want you to pass up a piece of furniture at a thrift store, garage sale, or flea market just because it’s dirty! TIP: Make sure you take a “before” photo of your furniture! You’ll want to be able to impress your friends and family with what a change you made. First, remove any pieces that can be taken off: hardware (handles or knobs), drawers, and/or shelves. Then wipe, sweep, or vacuum all the loose dust and dirt off the piece. Be very careful when using a metal scraper or spatula or a wire brush. It’s very easy to scratch the wood with those. Plastic scrapers and brushes are much safer. Are there any stickers or sticky residue on the furniture? You’ll need to take care of those first. How are you going to finish this piece? Stain, chalk-type paint, latex, oil, etc. Different types of paint need different prep. Will you be reusing the old hardware? If so, does it need to be refinished? Keep reading to see how to handle each of those problems. Mix up a bucket of soapy water and scrub away. Yes, you can use water to clean wood furniture. Just don’t let the water sit on the surface. I’ve even heard of people hauling furniture to the car wash to get it clean! Here’s a picture of the DIRTIEST piece I ever bought… a set of spice cabinets that I found at a flea market in Southern California. These were covered with kitchen grease and dust. I didn’t dare even take these in our house. I just emptied out the shelves and drawers on our patio and used my patio broom to knock the dust off. Then I filled a bucket with water, squirted some Dawn in it, and scrubbed them down with a cleaning brush. I let them dry out a couple of days in the sun before painting them. You can see how they turned out (and what I found in the drawers) HERE. Mix white vinegar 1:1 with water to clean the dirty furniture. Also helps remove smells if your furniture is musty. Melanie also uses the vinegar/water mix to remove sticker residue. Mix denatured alcohol 1:1 with water and scrub the piece. This method works when prepping furniture for water based paints. 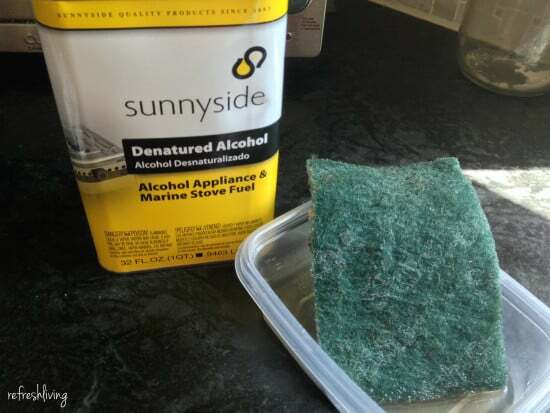 Jenny uses denatured alcohol and a Scotch Brite pad. Wipe down your piece with mineral spirits. 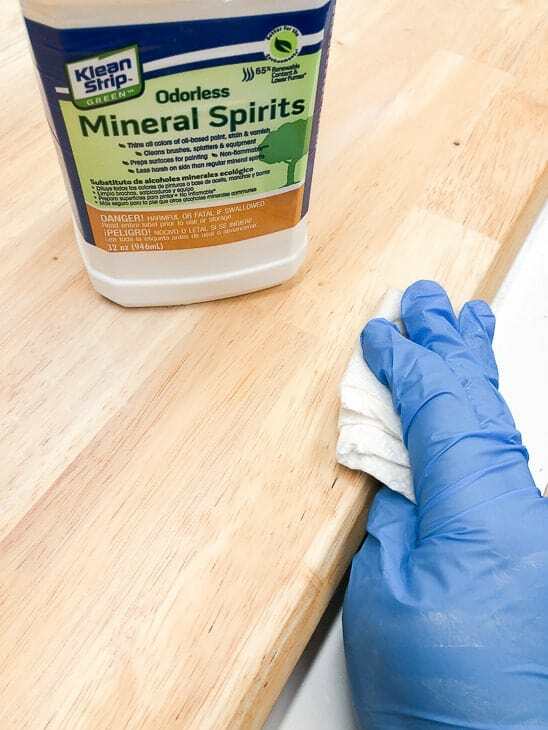 This method works well when you’re prepping furniture for oil based paints or stains like Vineta did on this dining table. TSP, or trisodium phosphate, comes in a powder that you need to mix with water before using. Brush it on the old furniture, rinse it off, wipe off any standing water, and let it dry completely. The TSP takes some of the finish off so sanding is also easier. You can also buy a TSP substitute, like Krud Kutter, that is already mixed up. It’s much easier to use and rinse from the furniture. Take all the drawers out and turn the piece upside down to make sure you get all the dirt and spider webs off the bottom and inside. Let the piece dry overnight if you’re going to paint it. 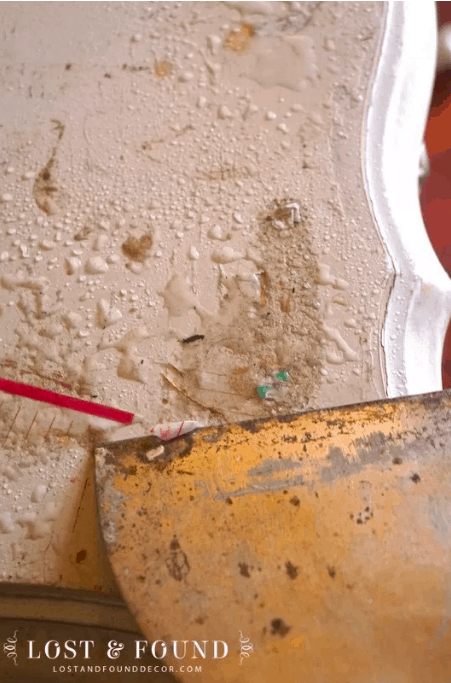 If you’re not going to strip or paint it, seal the old paint with a top coat to stop the chipping. Check out how I cleaned a garage sale vinyl chair, too. Thanks for reading my article. 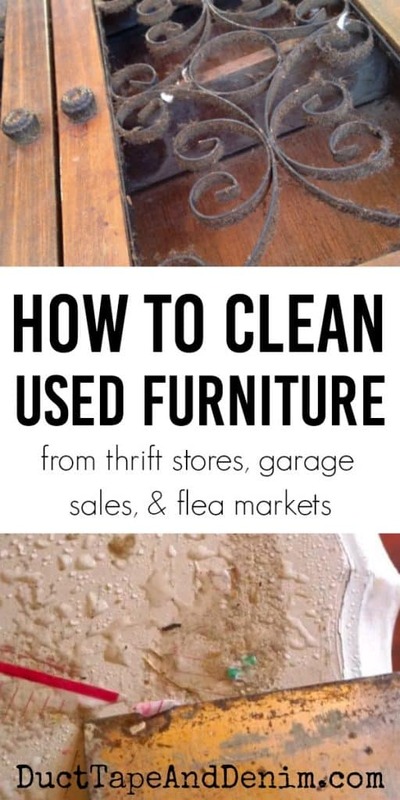 Let me know if you have any other questions about how to clean used furniture… or if you have more tips I should know about. We share at these blog parties. Featured on Smell Good Sunday. 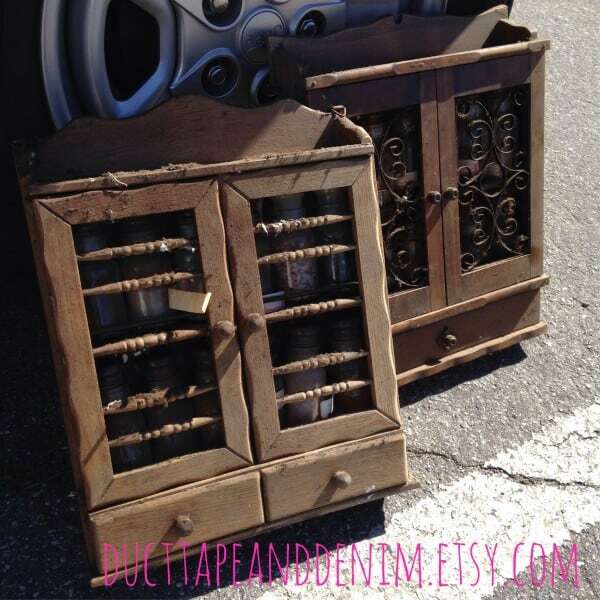 « Flea Market Tips to Prepare You for the Junkin’ Season! This is such a useful post! My favorite show to watch is the Flea Market Flip, and I feel so inspired when I watch it, but then I go to the flea market, and I feel intimidated. Pinned this for later. Thanks! Great post! Sometimes things you buy can be so grungy. Sharing! Thank you for sharing on Merry Monday! Hope to see ya next week! Great post . Always looking for ideas on cleaning old furniture I find. I hope you stop by Thursday Favorite Things since you are being featured. Such a handy post to have on hand! Thanks so much for sharing with us at the Summer Time Fun Linky party. Pinned. Thank you for the valuable information found here. Looking forward to many happy days of thrifting!